Psychogeography in a nutshell, as described in the first few lines of 'Have You Ever? ', a track from Genius Loci, the first release from The Psychogeographical Commission, as represented by Hokano and S.:. Hokano, as some may know, have previously released a CD, Ointment of Civilisaton, while S.: although involved in music for quite some time appears much more enigmatic. Hats off to Holkano and S.:, from the packaging to the music Genius Loci is a mesmerizing piece of work, one that consistently entertains, intrigues and inspires. So get out there. Snag a copy of Iain Sinclair's Lights Out For The Territory, drop this into your iPod as you pound the cities streets. Genius Loci is for those who walk with the Gods. Don't miss out on the map pack edition, it's limited to a mere 250 copies. Recommended. Le evoluzioni storiche del folk apocalittico hanno subito negli anni cambiamenti di espressione in territori sempre diversificati, generando più riferimenti stilistici. Incontriamo per la prima volta questo duo, che gravita tra Newcastle e Glasgow e riporta il discorso alle sue fasi iniziali. Verso la fine degli anni '80 una costola del post-punk iniziò a generare suoni e temi che concettualizzavano il disagio esistenziale dovuto ai rapidi cambiamenti sociali, diversificandosi dal punk e focalizzandosi invece su lande filosofiche concernenti l'individuo in quanto essere esoterico, e non solo 'pubblico'. -|-|-» Non collocabile direttamente in una specifica area di appartenenza, "Genius Loci" rappresenta primariamente un trip verso destinazioni più psichiche che musicali: di ciò si dovrà tenere debito conto in sede di valutazione all'acquisto. Se avete perduto voi stessi tra le vicende e le strutture della realtà urbana questo disco può contribuire a ritrovarvi. Originally released in late 2008, Genius Loci is the debut album of the English duo The Psychogeographical Commission, consisting of S.: and Hokano. Their music, as the band name indicates, is dedicated to exploring the psychological characteristics and effects of the (urban) landscape, in this case, focused on London. This is explored musically by fusing influences from ambient, industrial, field recording, and experimental music in general. The result is a collection of songs that charts different aspects of the theme chosen for this album, varying between a number of musical modes in between. Some tracks explore spoken or sung narratives and conventional song structure, others are geared more towards field recordings and drones. On the whole, the experimental bent of the music reminds me somewhat of later Coil material, but perhaps most of all of English Heretic, who blaze a similar trail through England’s psychogeography. Though Genius Loci has elements in common with the artists aforementioned, I feel it lacks a bit of the originality or salience inherent in their works. The album flows nicely and has enough variation to never bore, not to mention a great atmosphere. Nevertheless, I miss a bit of an edge or challenging touch in these tracks. The album is best experienced as it was also intended by the artists: as a musical and aural backdrop when exploring an urban environment oneself. In such a setting, Genius Loci shows its strengths more than in any other. For lovers of experimental music in the (post-)industrial corner with a fascinating conceptual backing, Genius Loci is well worth your time and money. Two versions are currently available: the original CDr release, housed in a map-like double gatefold, limited to 250 copies (pictured here), and the remastered CD edition in slimline DVD packaging. When I first laid eyes on the strange looking promo from S.: and Hokano I expected something different. I was totally taken by surprise. The Psychogeographical Commission is the high light of my year so far. This is the first release and collab of S.: and Hokano and between them they create a powerful and mentally charging atmosphere. Everything about this project is perfection, starting with the cover it self. The CD comes in a fold out cover shaped as a A4 sized map over London's east end. How fitting is that? You are actually physically presented with a metaphorical map. While holding the map in your hands, reading the lyrics, listening to their psychological hymns, they gently lead the listener into a state of consciousness, leaving them open to experience and explore their inner psychological geography. By combining genres such as folk, ambient and post industrial they literally create cross roads for the listener to traverse, they recreate the ambience and structures of urbanity. The title "Genius Loci", referring to the Roman "spirit of the place", is a perfect fit. The sounds are minimalist, but complimented by spoken word and soft singing, leaving me with a vibe reminiscent of Legendary Pink Dots, Current 93, Coil or Labraford yet this is totally different. I have grown quite tired with folk music lately, and this is something so new and interesting as post apocalyptic urban folk music. Dealing with some of the same spiritual questions you would expect from Death In June , yet this is taking it in a completely new direction. While neo folk bands attempt to recreate a past that never existed, a world we long for, a world we never even knew, this takes place here and now. By way of electronic drones and ambient soundscapes, this deals with the industrial world, and the search for spirituality and mythology in our time. The Psychogeographical Commission has chosen another path by saying the industrial world is no longer new and unknown to us, we don't need to long for the lost and forgotten times, we need to find our spirituality and mythology right here and right now. It all leaves me mesmerized. Their combination of subtle and gentle electronic sounds, and well written lyrics, is a soothing listen. It's calming and meditative, to the point of almost being tantric. The vocals and the production are not of crisp quality, but it really doesn't matter. Their sounds expound a philosophy that takes us on a mental journey of human nature today. As modern humans we live in urban constructs that may seem alien, but has in fact become our natural habitat. The Norwegian poet Rudolf Nilsen and his poem "Storbynatt" (Big city night) from 1925 describes the same feeling, the alienation, yet familiar, safe feeling one gets walking the cold streets at night, the street slights is our sun, the prostitute brushing against your arm is our gentle caress, the crazed homeless schizophrenic whispering his religious delusions is our spirituality. The tall concrete buildings are our temples and the fashion mannequins in the huge glass windows our goddesses. Magic is found in the new fancy designer drugs, the spirits are hijacked and milked by the millions of frauds wallowing in the capitalistic delusions. S.: and Hokano tap into something inside me. There are a million ways to express these emotions and most would choose a more violent and less organic approach. But in keeping their project low key, they evoke understanding and a connection. A healing melodic ointment if you will. S.: and Hokano shared an emotion, created a solution and they pass it on to us. It's a magical gift. The moment I pressed play, I literary fell back into my seat and my pulse went down. My mind drifted in and out of good and bad memories, and for me who spends a great deal of time thinking about my place as a human being on this planet, it's like they have been watching my dreams and nightmares for years. S.: and Hokano are mood creators. They don't force their way into your head, so if you don't have the time to let them get inside, you probably won't get much out of their music. If you are however a thinker like me, you will be left feeling less alone, a little less confused and totally relaxed. I rarely come across art with such intent, and flawless execution. I live in a city with 500.000 citizens, listening to this music on my laptop, it reached me all the way in Norway, and now I am sharing my experience with you. This is a magical gift of communication, reaching each other simply through thoughts and emotions, instant reactions commuting in and out of each others consciousness. This is our spirituality in an urban world. I feel more connected to my own world as the music ends. And that is a massive accomplishment. Well done. There is something immediately gripping and somewhat intriguing about Genius Loci, the debut album of The Psychogeographical Commission. Perhaps it’s the strikingly designed packaging of the CD which resembles an Ordnance Survey street map, or perhaps it’s the project’s name, The Psychogeographical Commission, or even the album’s title, Genius Loci, named after the Roman mythological 'spirit of the place'. Whatever it is, the album you hold in your hands has a presence and an atmosphere which draws you to it, perhaps with a hope that it will disclose something about itself or offer up some greater meaning or explanation about its intentions. But of course it isn’t quite that simple, in fact the more you study the packaging and reflect on the project’s name and title, the more a resonance of uncertainty emanates from it, and it starts posing more questions that delivering answers. However in doing so, it also makes you want to play the CD which of course is at the very centre of this release. So, with a hint of trepidation, Play is pressed and you’re led on a journey of discovery into the esoteric realm where cityscapes and magick merge into an ever-evolving concrete jungle. The music is an unusual but beautifully compelling take on modern folk for the city folk, with subtle acoustic guitars strumming against the delivery of spoken and sung vocals which tell the tales of city and sprawling metropolis. Adding to this are delicately infused electronics, field recordings, found sounds and manipulated electronics which are layered onto one another to create an ever-evolving flurry of sounds and aural soundscapes which pulsate and flux like the heartbeat of the city’s constant stream of traffic and commuters. Initially the compositional structure of vocals and guitar appears somewhat simplistic and unchallenging in delivery, yet its delicacy and unconfrontational approach is one of its strengths, as it welcomes you into the sprawling, endless journey that it guides you through. And the addition of delicately placed sounds floating in and out of the frame like shadows cast by desolate buildings helps to deliver a plethora of audible sound sculptures, awash with depth and atmosphere, spacious at times yet pulsating with the claustrophobic built-up nature of the cities that are its inspiration and influences. Musically, the PC sit somewhere on the outskirts of leftfield electronica and post-industrial. Think of the soundscapes of Coil, the broodingly melancholy moments that Einstürzende Neubauten occasionally touch upon, the fluctuating and constantly evolving sound textures of Boards Of Canada and you’re there, sort of. But then there are the dark apocalyptic folk elements of Current 93 which occasionally surface, as well as the more haunting soundscapes of their work which are evident on tracks like the ‘The One Who Walked Before’ with its hypnotic, swirling vortex of electronic sounds and ritualistic percussion, which is structured in such a way that it helps the listener journey into its very being whilst it attempts to lose you deep within its ever-changing structure. Utilising both lyrically based and instrumental tracks, the PC have produced an album that is as diverse and as constantly evolving as the modern city. The folk-based tracks are surely folk for modern folk, whist the darker ambient-esque tracks really are industrial music for industrial folk, yet the two tie together with superb ease, and making the transition between one and the other seems like a natural progression, like the crossing of roads. When the modern city has outgrown the society it was initially designed for, sometimes it needs to be explored and investigated from a slightly different perspective than normal. Does it have a life of its own? A pulse and heartbeat? Does it ever sleep or rest? And how come it has outgrown its occupants? The Genius Loci is the perfect soundtrack to accompany these thoughts and questions, wandering the never-ending concrete mazes that seem to have an almost organically evolving presence. Of course it also works in the safe confines of your own home as it lets your mind wonder through its own alleys and lanes. 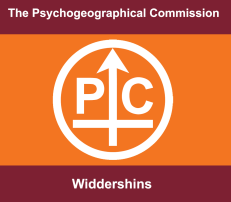 Whilst the Psychogeographical Commission may well be a name which you’re not familiar with. However, based on the strength of Genius Loci, this will soon change for those of you who have a love of experimental electronics, post-industrial and leftfield modern folk, as this album is a stunningly well executed and delivered set of recordings, which comfortably touches each genre whilst still containing a welcoming breath of originality, so it’s not easily pigeonholed. The Genius Loci is a brilliant introduction to this elusive project, and one which most certainly warrants your investigation and time if you have the inclination to explore your own concrete environment. Limited to only 250 copies and available directly from the group’s own site www.psychetecture.com for £7 (which includes worldwide postage), how can you waste time thinking about it? Purchase it now or miss this opportunity to discover a remarkable album. Psychogeographical Commission are a two piece English/ Scottish project who conjure up a sound that mixes together dark & swirling Coil like electronics, dark neo folk strum, and bleak joy Division or doomed English post punk like bassy lined indie guitar pop edgers. Genius Loci is the projects first release which was original released as a long sold-out CDR- now it’s available in a ‘full’ remastered form in a rather fitting oversized cd case which is made to look like an ordnance survey map. The album’s theme/concept is all about the Psychogeographical, occult & spirit bound residue of city scapes; & in particular that of London’s rich & shift sonic & architectural sprit. Each track is based around a mixture of droning, swirling & morphing dark electroinca, clean & harmonic yet doomed guitar lines, and wondering bass lines. All which is topped off with wordy male spoken semi sang vocals which bring to mind the likes of the scholarly yet entertaining vocal style of the likes H.E.R.R or The English Heretic. Talking of The English Heretic; that’s the nearest sonic comparison that most comes to mind through-out the whole of Genius Loci; with it’s mixture of electronics & acoustics, spoken word vocals & slight touches of field recording; but unlike much of English Heretic work this s a lot more song based & approachable, through on the downside it never really reaches the spine chilling & goose-bump rising macabre-ness of the English Heretic at their most potent & deadly. In all an rewarding opening shot from this project, though towards the end of the album they drop the vocals & drift into rather bland electronic & field recording nodding that’s neither that atmospheric or effectively in enhancing the rest of the albums themes; it almost feels like they ran out of material to fill up a full length so they thought lets 'bugger around' a bit. Never the less don’t let this put you off as there’s real sonic promise in the first three quarters of the album. 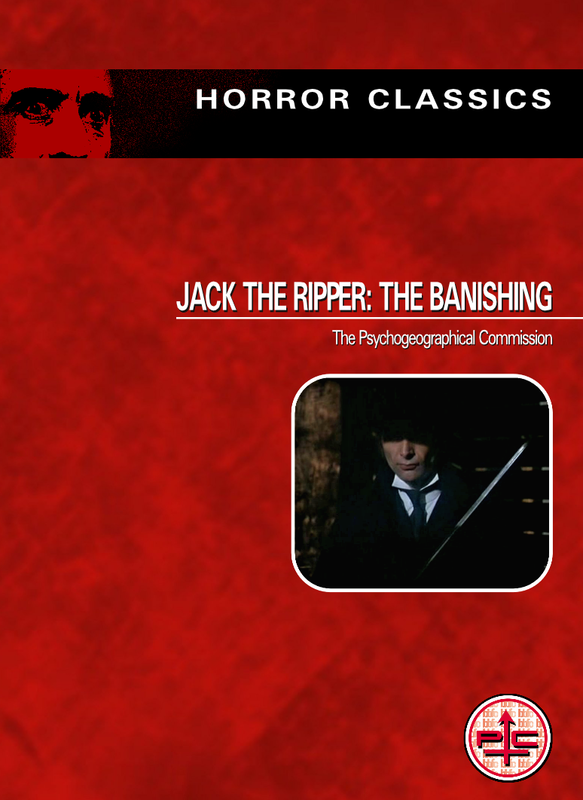 Genius Loci (7.5/10) The Psychogeographical Commission. Packaged like a street map and meditating on various conceptual drifts through London, this wholly English gem marrying old Current 93/DIJ to Guy Debord successfully and hypnotically. THE PSYCHOGEOGRAPHICAL COMMISSION is a young project, where the label mates S.: and HOKANO has joined forces. HOKANO does have some albums out... I haven’t heard them, but I understand that it’s a dark ambient project. S.: is still to release his debut, one that I really look forward to after listening to his preview tracks on MySpace. It’s more of a dark / industrial folk project. So, a collaboration would be something in between dark folk and dark ambient - true? Very true. Like 50% of the songs sounds pretty much like what I’ve heard from S.:’s MySpace site, and the rest lay close to how I imagine HOKANO to sound. THE PSYCHOGEOGRAPHICAL COMMISSION is very ambitious, something that’s pretty clear already after throwing an eye at the stunning layout. The disc comes in a super-oversized city-map, really interesting for sure. It’s also perfect to fit the thematics the album deals with. I quote from the project’s official site: ”Named after the Roman mythological ’Spirit of the Place’ the Psychogeographical Commission’s debut album attempts to explore further the Psychogeographical nature of our built environment and is therefore written to be played whilst interacting with a city, but it sounds equally great on a stereo.” - Seems complex, but you don’t have to, of course, dig that very deep into the subject if it’s not that attractive to you. Personally, I choose to listen to this as any other CD, and it DOES sound equally great on a stereo. I can sense flaws in the production. The sound is very blurred and hollow somehow, which is not a biggie at all, but it’s prominent not least in the folk oriented tracks where the guitars and the vocals seem to be on the same level sometimes, making it quite hard to point out what is what and what’s going on. But I don’t like complaining about that sort of things, especially not when there is no expensive recording gear involved. I do instead turn to the variation, that’s certainly a side that could have been worked on. But I don’t like complaining about that sort of things, especially not when the music is that good as this actually is. An original approach to CURRENT 93-ish folk, with half-spoken vocals and a great usage of previously unused ideas plus the original theme is what makes the first half of the album enjoyable. The ambient tracks are also very nice pretty much all of the time, but they aren’t quite as original. Which is understandable, ambient will always be ambient, but it’s both creative and evocative so thumbs up! After nearly one hour of experimental folk and deranged sound collages, the disc stops spinning. I’m pretty sure it will start all over again soon enough though! This is a fine release from far down the underground and it screams for you to go look for it. Considering what you get, those 5 pounds the whole package will cost you, it’s very much worth it. And why not get it straight from the source from which is came; from the band directly. One of the more interesting releases to pass through reviewers hands this year, The Psychogeographical Commission create ambient, textured music that celebrates and explores the relationship of person and place, namely Urbanus Humanus and the luxurious concrete, steel and glass cage he has constructed for himself. Heady stuff to tackle with lyric and tone, but the purveyors S.: and Hokano do a fine job blending sonic experimentation with a dark and velvety rhythm to bring the listener to a new level of awareness of their surroundings. In short, it works. The album’s title, Genius Loci, meaning ‘Spirit of Place’, tells well of what lies within; meant to be listened to while gliding though the tube or dwarfed by buildings, this release works equally in the rural landscape. Fans of Coil and Nurse with Wound may stumble upon a familiar brilliance here and would do well to pick this one up if you can find it. More is to come in the future from this project, and I for one am looking forward to it.